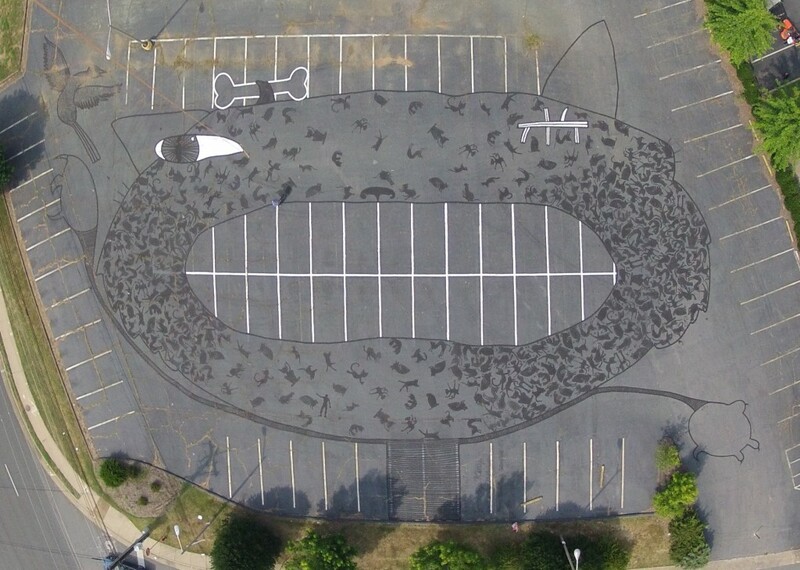 Earlier this year Professor Megan Marlatt from the University of Virginia McIntire Department of Art began work with her students to create a jumbo outdoor mural titled “Hello Pluto, Good-bye Kitty” based on Edgar Allan Poe’s short story “The Black Cat”. 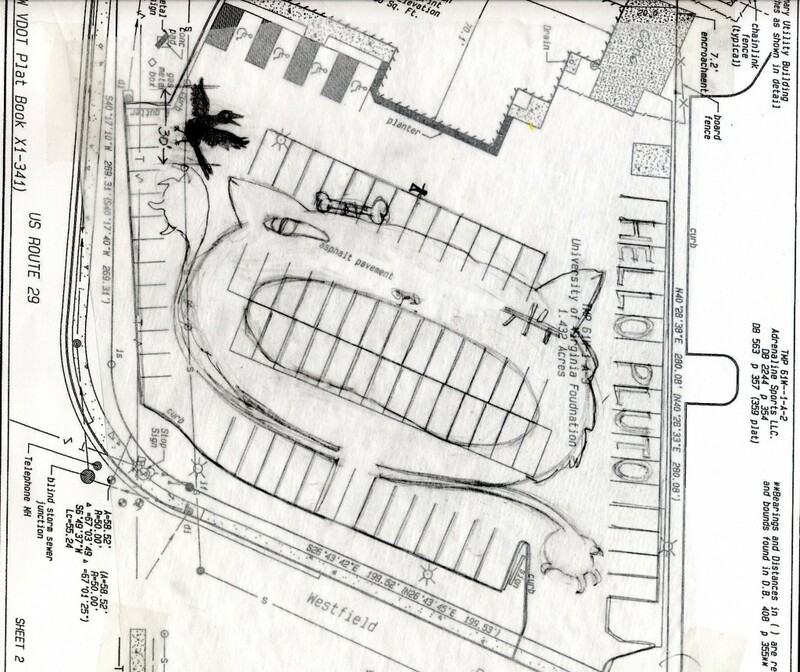 The mural design covered a large suburban parking lot. 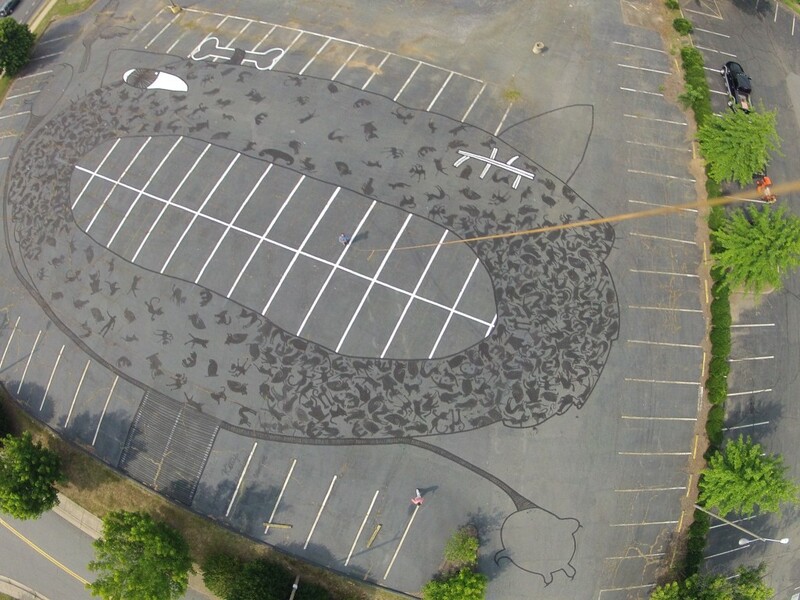 From street level, viewers see small cats painted on the parking lot. But when we gain the larger view by lofting a camera attached to a helium balloon several hundred feet into the air we get our first views of the entire work in progress. 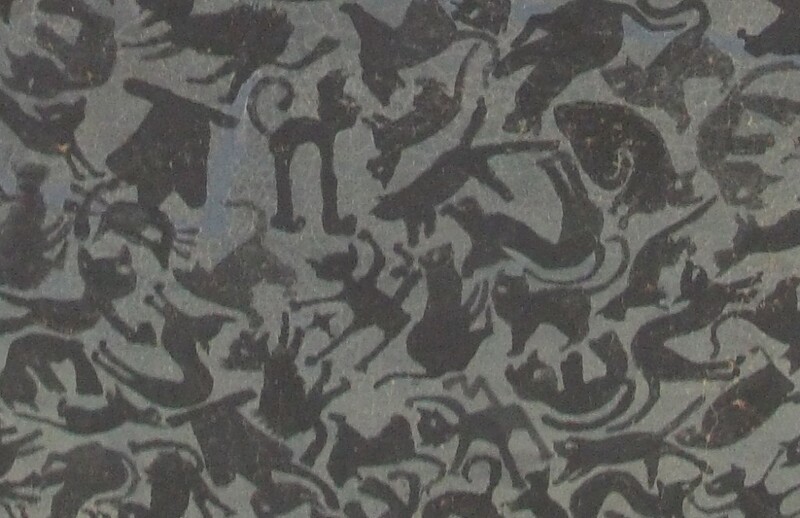 “‘Hello Pluto, Good-bye Kitty” was off to a fine start but much work was still to be done. When Professor Marlatt and her students completed their work a few weeks later we returned with our aerial photography rig to document the finished product. 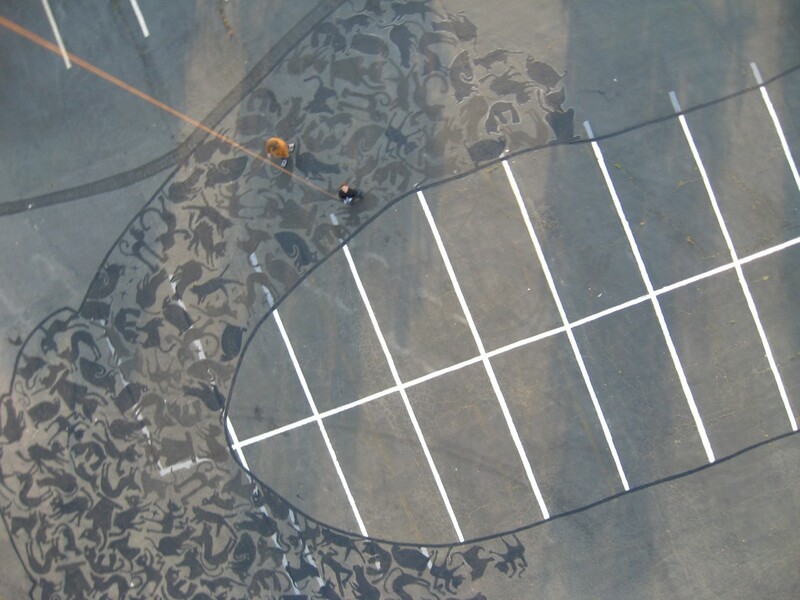 This project illustrates some of the benefits of do it yourself aerial photography. With a small investment of equipment and time we collected high resolution imagery to document change over time for a discrete study area. We see applications for these techniques across many academic disciplines. So we’re working now to fine-tune our approaches while we collaborate with faculty and students. Contact us in the Scholars’ Lab to chat about how your work can benefit from do it yourself aerial photography. Cite this post: Kelly Johnston. “DIY Aerial Photography and Edgar Allan Poe”. 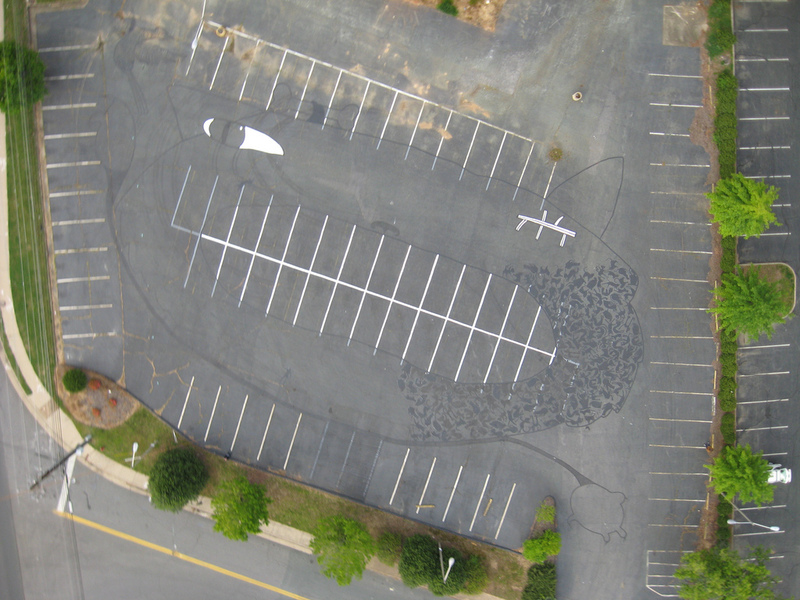 Published July 27, 2012. https://scholarslab.lib.virginia.edu/blog/diy-aerial-photography-and-edgar-allan-poe/. Accessed on .